Last week was exciting, and the excitement continues! Our DT call was extraordinary!! 103 super talented designers from 10 countries threw their hat in the ring to become a Girl or Guy Friday. I've oohed and aahed over their projects, and smiled at lots of their stories as I've visited their blogs. The opportunity of working with so many fabulous designers is beyond exciting! only 7 spots to fill. This was an incredibly hard process because the level of talent was jawdropping!! The last of the invitations have been sent and accepted! If you didn't receive one this time, Please, Please, Please don't be discouraged!! Psst...there may be a few Special Guest Designer invitations floating out a little later! the new team will be announced! It's a fantastic group of mega talent, and I promise they will blow your mind! To pass the time, how about a fun challenge? Clean and Simple stamps designs for any stamper's style! Made in the USA of the finest clear photopolymer, you will love getting inky with them! Join us on the store blog Monday, Tuesday and Wednesday to see the Sneak Peeks! i had so much fun with this one! thanks! This was a fun theme! I just love the challenge this week, and it gave me a chance to revisit a blast-from-the-past song that I've always loved! Great samples ladies, you're always so inspiring! I watched the Grammys and made a CAS card all at the same time. Loved this challenge! Fab inspiration too! Another great challenge, Michele, and amazing cards by the DT! Can't wait to meet the new members and see the new stamps!! 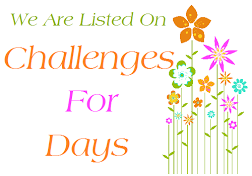 A lovely challenge! I love music! Just visited you tube to hear some old music of the very talented group Queen. Yes a great challenge. So fun naming the songs the cards call to mind. Exciting news...just can't wait.